Negah Eye Center is one of Iran's fastest growing centers for the treatment of all kinds of eye diseases, based in the Iranian capital. Events held an interview with three of the top ranking managers of this Center to report on the Center's achievements particularly on the occasion of the Center's being awarded the ISO 9001:2000 Certificate from BSI. Dr Siamak Balali MD is the Managing Director of the Center, Dr Farivar Esmaeelzadeh MD, the Deputy Managing Director and Dr A H Kh Soltani PhD, the Internal Affairs Director. Events- How did it all begin? Siamak Balali MD- In 1994 a number of my colleagues and I established a clinic for the treatment of eyes using the most modern equipment. This being very successful in 1998 we decided to expand our facilities and set up a Center to provide services in diagnosis and treatment using the state of the art equipment. Up till then there was no such modern center in Iran. We had hitherto had excellent specialists who worked individually to treat patients, usually with great ability and extensive expertise, but there was no center where such diverse expertise and abilities would be gathered together to cover a wide range of patients and treat a very diverse range of eye diseases except perhaps in universities and even these faced some limitations. So, we started the work, invested a considerable amount of capital, and gradually our number grew from seven to 30 and eventually to about 100. Our company was registered in the form of a cooperative, because a cooperative lays less emphasis on financial matters and on profits, and you can better provide services through a coop than a private company. By 1994 we had all the necessary permits that were necessary to establish the Center but this was not an easy task because it was rather difficult to convince our authorities that it was a good thing to have such a center organized and run by the private sector. Anyway, the center became active early 1998. E- What are the main features of this Center? 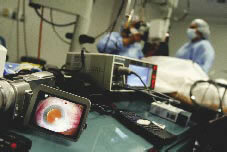 SB- One of the main features of this center is that almost all of the eye specialists, experts in ophthalmology, who work in Tehran and are members of the academic boards of the various universities across Tehran, are partners in the center's coop organization and work at the center as well. We even have some partners who live and work outside Tehran as far away as Kerman, Kashan, Rasht and many other cities. In this way we provide special services to people who live out of Tehran and suffer from eye diseases that require special equipment for diagnosis and expert treatment. For example, it may not be worth while for the ophthalmologists in Kashan to have an equipment that costs 100 or 150 million toomans just to make paraclinical evaluation of a particular part of the eye. Patients who need to have such exams on evaluation are referred to this Center, usually by specialists who are themselves partners of our coop. As another example, our HRA 2 is a highly complex and specialized piece of equipment. It costs a great deal of money, is costly to maintain and look after, but is necessary for imaging of the retina and its veins among other tasks that it performs. I should point out here that when we bring in a new sophisticated piece of equipment we naturally also have to bring in the scientific and technological know-how and knowledge necessary for its effective use. As you might know, today the science of ophthalmology is divided into seven or eight branches and we cover all branches and provide all the necessary services in all these areas. You might think I am exaggerating but it is the absolute truth when I say that some of the specialized equipment we have do not exist is many of the very well-known eye treatment centers in the USA even. So our facilities are outstanding and so are our experts. For example, one of our partners, Dr Soheilian, was chosen last year as the world's most outstanding specialist. I can give you many more names but suffice it to say that all our partners and colleagues are truly highly qualified, and perform about 20,000 operations a year on the eyes of the patients. About three years ago we thought of finding a way of preserving our standards as a minimum requirement and hopefully to bring about continual improvement, and so we asked BSI-Iran, a management consultant company, to guide us on ISO 9001: 2000 implementation. After the implementation phase we trained our internal auditors using BSI's training services in Iran and then we ran internal audits to facilitate the registration process. The BSI Management Systems Certification was chosen after thorough investigation and evaluation of the certification bodies available in Iran. Soon after BSI began their work of studying our activities, I was struck with the work they were doing, the meticulous approach of reviewing all our activities in such incredible detail and all aspects of it, the management, the actual medical procedures, the financial affairs. Their activities have truly affected all aspects of our work and practices, most favorably. We are in fact very pleased indeed that we opted for the Management System and that we have been awarded the Certificate. Finally, I should like to reiterate that today the science of ophthalmology is rapidly making progress, beyond what we imagined just a few years ago. So, we need more and more facilities and this, in conjunction with a rapidly growing population, demands that we expand our workspace. Therefore, we are presently making plans for the construction of a very large center of 9000 sq m of built up space and 1200 sq m of open area/courtyard. Farivar Esmaeelzadeh MD- In 2002, when we decided to opt for the Management System, we carried out thorough investigations in the market and came to the conclusion that BSI-Iran was the body that could help us best. Soon after BSI-Iran began their work, we came to the conclusion that many of the patients who referred to the Center were not satisfied with the way they were received. They complained about delays. Actions were taken to remedy this shortcoming and it was soon put in order. We now have an office in charge of quality improvement and one of the most important tasks of this office is to see to the patients' complaints and to put things right and meet their satisfactions. We aim for continual quality improvement. 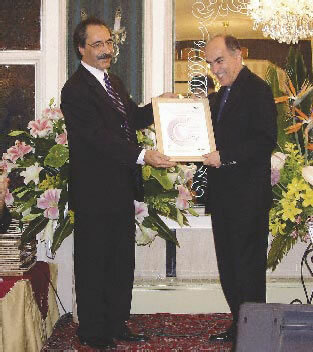 A H Kh Soltani PhD- I just wanted to add that this coop is the only medical coop which has been judged by the authorities as the most outstanding, an exemplary organization, in the past three years, as the documents we have prove. 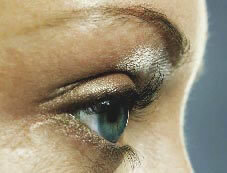 The next point of importance is that not any eye specialist can become a partner of this coop and work at the Center. There is an academic committee that selects new partners. I can name quite a few people who are highly positioned in the country and yet were turned down by the committee. Thirdly, we welcome “young blood” and offer all sorts of facilities to young specialists of talent to join the coop. And those who do not wish to become partners or cannot yet afford it can work in the center as “guest specialists” using all our facilities to treat and operate patients, but provided they prove their capability beforehand. Farivar Esmaeelzadeh- The important point is that today the Center is not dependent on any particular person or group of persons. It has become an entity that runs by itself irrespective of who is there and who is not. It is a completely independent body that is self-governed.